Gross! Video games sure have a lot of nasty, blobby characters, don’t they? 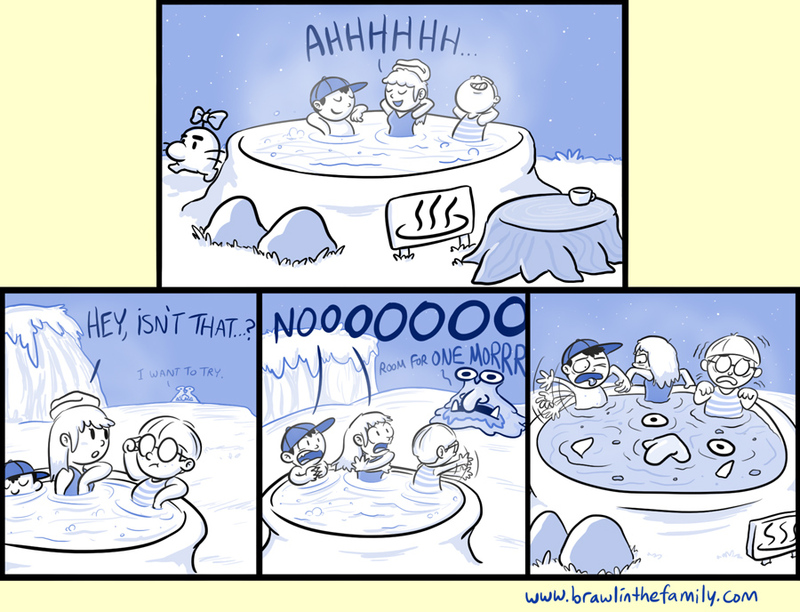 And hot springs, come to think of it, so it was only a matter of time before the two converged. This strip went through quite a metamorphosis. The original, a sketch of which can be seen here, was sort of a follow-up to the original Master Belch comic. For some reason, I felt it worked better from the perspective seen above, but what do you think? Seriously you guys, Fire Emblem: Awakening is fantastic.